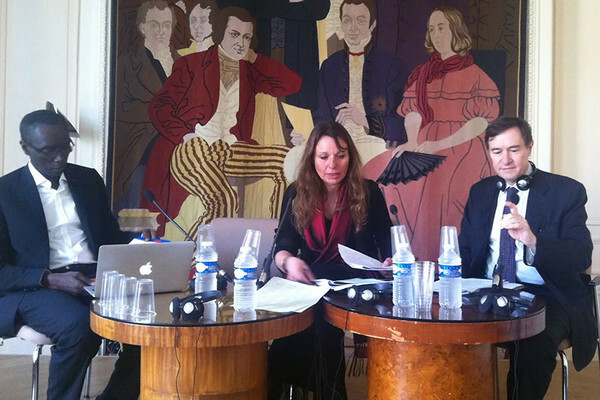 On 20 March, at the invitation of the French Association for the International Protection of Copyright (AFPIDA) and with the support of French Society of Authors in the Graphic and Plastic Arts (ADAGP), three panels of international experts gathered in Paris to discuss the vital Artist’s Resale Right. 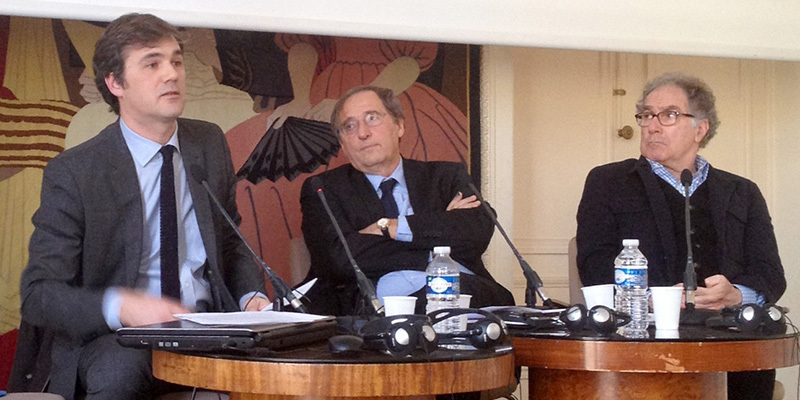 The high-profile event, dubbed the ALAI Colloquium, was organised by the International Literary and Artistic Association (ALAI) and hosted by French historic authors’ society Société des Gens de Lettres (SGDL). The Artist’s Resale Right, also referred to as Droit de Suite, is a fundamental right for authors of graphic and plastic arts. It consists of a small percentage of the resale price that art market professionals (for example an auction house or a gallery) pay to visual artists at each resale of their works of art. It guarantees creators the ability to earn a fair share from the resale of their works. The rate varies from country to country and normally depends on the sale price of the work. 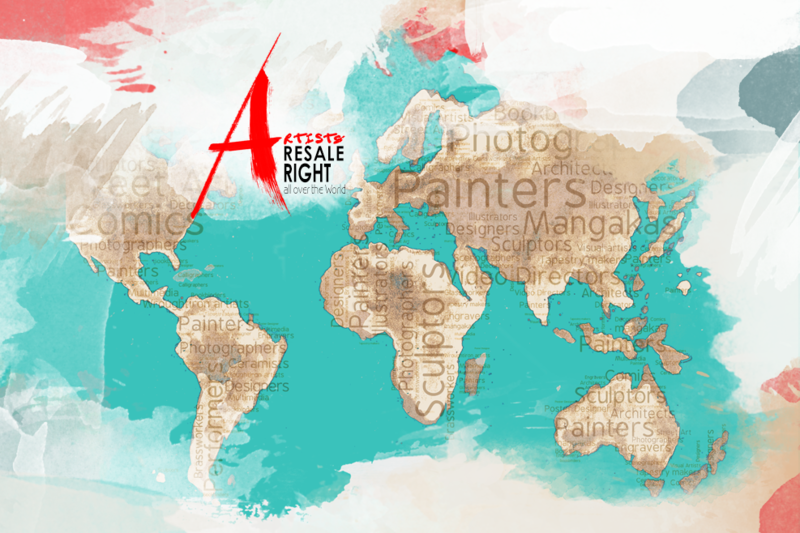 The Artist’s Resale Right is recognised under international copyright law. It is included in article 14ter of the Berne convention. However, it is not compulsory, and is instead presented as a reciprocal right. This means that for an artist to receive the resale royalty, the right must be enacted both in his/her home country and in the country where the work was sold. This vital piece of legislation ensures that creators benefit from the success of their work as it increases in value and delivers a revenue stream to visual artists so that they can continue to create. But while the Artist’s Resale Right is present in around 75 countries today, it is currently not recognized in the world’s two largest art markets – USA and China. The first session of the event was chaired by Pr. 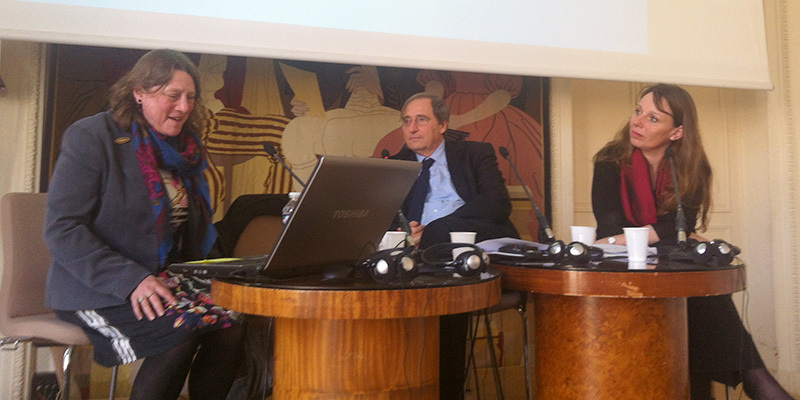 Pierre Sirinelli, a Professor at the University Paris 1 (Panthéon-Sorbonne) and the President of the AFPIDA. Joining him were Tristan Azzi, a Professor of law at the University Paris 1 and Jany Jansem, a gallerist (director of the Matignon gallery) and heir of his father’s significant artistic patrimony. Professor Azzi reminded the audience of how the resale right came into existence and explained the role of European institutions in its adoption into law. He underlined that “the resale right is a highly adaptable right”. Speaking next, Mr. Jansem underlined how the role of gallerists has shifted in recent years as “business has put its hands on art”. He also paid tribute to the work of ADAGP in facilitating the traceability of visual art works via its image database. The second session discussed the progress being made towards a recognition of the Artist’s Resale Right in the world’s two largest art markets, China and the USA. Joining Pr. Sirinelli on the panel were Jane Ginsburg, Professor of Literary & Artistic Property Law at the prestigeous Columbia University (New York) and, standing in for Chinese artist Wang Yan Cheng, ADAGP’s Director General Marie-Anne Ferry-Fall. “The call for equity has been heard in the USA”, reported Pr. Ginsburg explaining how the absence of recognition of the resale right in US law is preventing American artists from benefiting from the success of their works when these are resold on the international art market. Ms. Ferry-Fall then read a statement from Chinese visual artist Wang Yan Cheng in which he highlighted the formidable growth of the Chinese art market, fueled by economic growth in the country. “China’s art market did not exist 10 years ago”, he said. “Today, it is as big as the UK’s”. He also stressed how eagerly Chinese artists await the adoption of the Artist’s Resale Right into China’s IP law. In the final session, Ms. Ferry-Fall was joined by Mr. Abdul Aziz Dieng, first advisor to Senegal’s Minister of Culture and the representative of Senegal at WIPO, and by Sam Ricketson, Professor of intellectual property law at the Melbourne Law School. Mr. Dieng explained how Senegal is spearheading the promotion of the Artist’s Resale Right at WIPO in favour of its universal adoption. He also announced his intention to convene with all Ministers of Culture and Ministers of Intellectual Property at a special event at WIPO in November. Professor Ricketson told the audience that an increasing number of countries have adopted the Artist’s Resale Right into their law over the past 10 to 15 years. “The right is gaining critical mass amongst Berne Convention member countries”, he said. The event closed with a lively debate on the topics raised during the day and a pledge from key organisations to continue their work to raise awareness of this vital right as it makes its way through the legislations of many countries towards its universal adoption. See also: CISAC News Article.